This is a shot on Aling Tonyang's seaside restaurant painting where we eat couple of months back. We ate at the table below this painting and this one caught my eye as the theme of the painting is also about cooking. 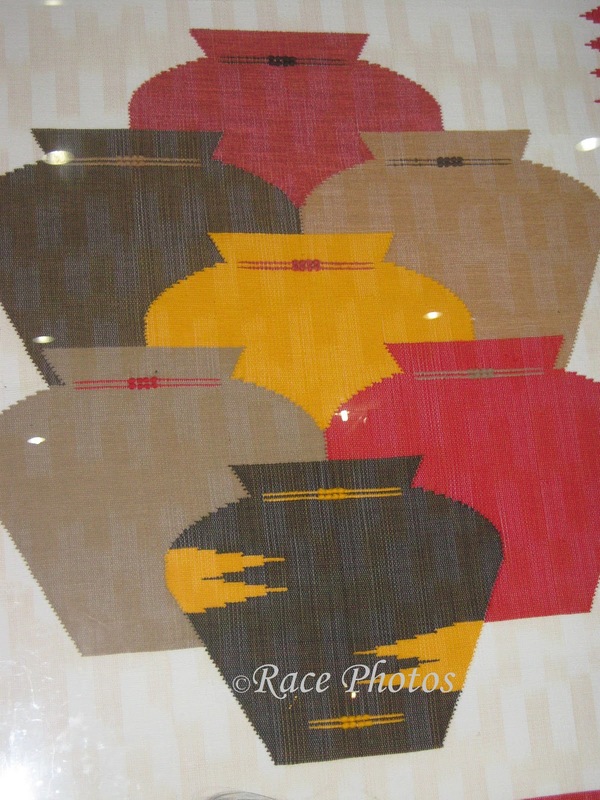 Very simple yet creative with splashes of brown, beige, yellow and red. So I thought of making this an entry to Mellow Yellow Monday and Ruby Tuesday. That day was full of fun as I met up with college friends whom I didn't see for a couple of years. We've been together for 5 straight years in PUP Computer Engineering Class and so close to each other that they often hang out in our house to do projects and attend special occasions. How I missed those days! Lovely painting. 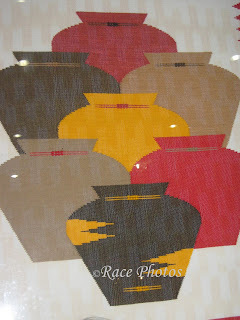 It reminds me of Navajo woven rugs.